Should personal trainers recommend at-home workout programs to their clients? 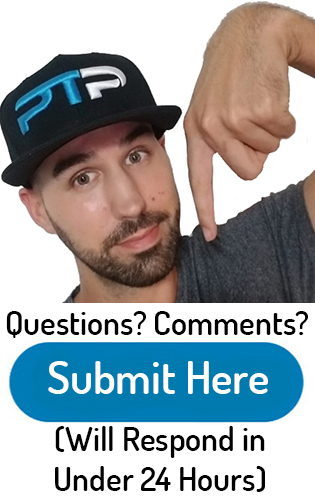 Hey everyone, today I’m going to be talking about whether or not personal trainers should recommend at-home workout programs to their clients. Sometimes as a personal trainer it can be tricky with clients that prefer to work out in a closed setting. These are the type of people that prefer that you go to their house, or they come to your home for training sessions. If you just got certified as a personal trainer, you will realize tons of clients are like this. The biggest problem with some of these clients is that they do not have any workout equipment of their own. At this point, we are stuck with a dilemma. I don’t always recommend my clients use at home workout programs such as P90x, insanity, the 21 day fix or any of the other beach body programs. But sometimes these programs can be very fitting for personal training clients like this. In the end, some exercise is much better than no exercise at all. I will be doing many reviews for you guys on some of the top beach body products. I’ll be doing a mini P90x review, insanity review, 21 day fix review and a Cize review. Obviously, following these instructors are not nearly the same as being trained by a well-certified trainer, but it’s better than nothing. This can also be a way to increase how much money you make as a personal trainer by also becoming a beach body coach. I will be making some quick comparisons between all of these beach body at-home programs. You will learn the differences between P90x vs insanity, P90x vs the new P90x3 as well as Piyo vs T25. The best part of these programs is that they come with a workout calendar that your clients can follow. I will show you an example of the P90x workout schedule calendar and how you can use it with your clients. Let’s jump right into it! 21 Day Fix review. 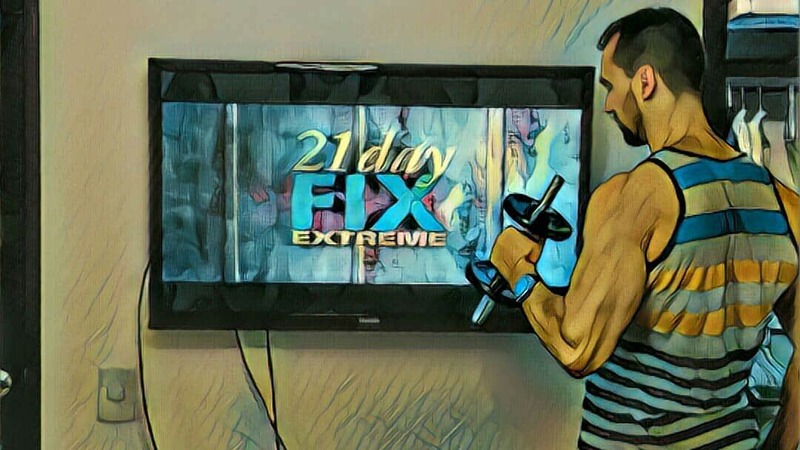 What is the 21 Day Fix? The 21 day fix is a three-week exercise and diet program to shock your body into losing fat and getting toned as quickly as possible. This program is brought to you by Autumn Calabrese and beach body who make other well-known programs such as insanity and P90X, PiYo, Cize, and others. This is a fantastic workout program for your female personal training clients. This is a good workout program if they want to get in decent shape in only three weeks. Overall the program consists of two separate DVDs that contain six complete workouts in total. Each workout session lasts 30 min. Your clients will be expected to do one 30 min. Session every day for three weeks to push your body to change. It is also recommended to do double days, that is doing two 30 min. Sessions per day to finish off the program in the last week. Just like the majority of the most successful workout programs, the workouts are broken down into different parts that target different muscle groups for the best results. I’ll describe the six different workouts in more detail down below. Lower body fix: Has a strong emphasis on training your glutes, hamstrings, and quadriceps. Upper body fix: Mostly targets your chest, back, shoulders and arms with some additional abdominal exercises thrown in the mix. Total body cardio fix: This is the most laborious routine in my opinion because there are no slow points and when you hit every body part, your heart rate is elevated significantly. Yoga fix: This is designed to tone your muscles and improve your flexibility throughout your body. Pilates fix: Mostly focuses on core exercises but also touches upon your hips, glutes, and thighs as well. Cardio fix: As the name implies, the goal is to elevate your heart rate and improve your cardio fitness in this workout. Besides the six workout plans, the 21 day fix also includes a complete diet plan to make sure your clients are in a calorie deficit throughout these three weeks to shed the most fat that they can. Without a proper diet to supplement your extremely tough workouts, you will not see the results that you are looking for (if any). Overall I thought all of the exercise routines were fun and challenging at the same time. Any exercise routine will get old over time, but for the three weeks, I always look forward to my 30 min Workout for the day. If you already have your diet plan in place for your clients, that is fine as well. I thought it was cool how the diet plan is arranged. They give you color-coded Tupperware containers to make sure you are within your calorie goals for each day. You have a list of foods that you can eat, and as long as they fit in the appropriate containers, that is as much food as you can have. No more weighing your food for calculating how many calories something has. The Tupperware containers work exceptionally well, and it turns dieting into a fun little game. Here is how the Tupperware containers are broken down. You cannot just fill up these containers as many times as you want. There are specific instructions on how many times you could fill up each one for each day. 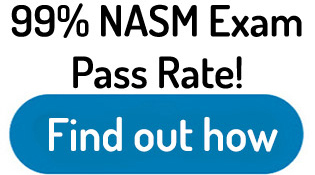 They will also show you how to calculate your daily intake needs for calories. And based on these needs they will then let you know how many of each container you can have. I found this extremely easy to follow compared to most exercise diet plans that I have looked at in the past. What makes it magical is the fact that you don’t need to count calories, the Tupperware will do everything for you. 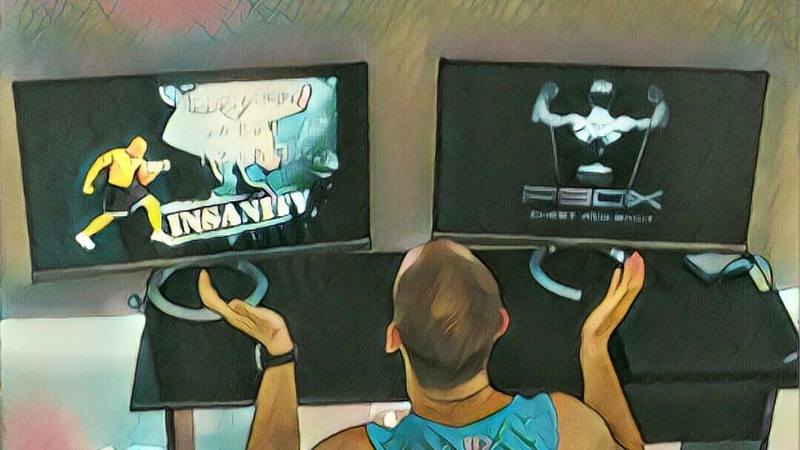 Insanity Review. What is it? As I have mentioned, insanity is one of the hardest at home workout programs that I have tried up until this point. P90X was challenging as well, but I think this one out does it when talking about difficulty. This is only for your most advanced personal training clients to try due to the cardio requirements. Here are some of the insanity results that your clients can expect by completing the program. Better posture. You will notice that you are standing taller. More toned muscles in your arms, legs and pretty much everywhere. This workout focuses strongly on your lower body. Primarily on your glutes and quadriceps. Just as the name implies, there are a lot of plyometrics involved and is meant to improve your athletic performance overall. This is the upper body workout and focuses a lot on your arms, chest, back, and shoulders. This is one of the more difficult cardio workouts. This is a big circuit that will boost your metabolism, increase your heart rate and leave you soaking wet. This core and cardio combination is a big circuit that involves a lot of abdominal movements. Your obliques, front and back of your heart will feel it the next day. The recovery DVD it is a lot slower paced which you will be incredibly grateful for. There is a lot of stretching, and it almost seems like you are doing a yoga class. Take this time to relax and let your body rest before you pound it the next day. Let’s talk about the four workouts that will be cycled through in the second month. These workouts get longer compared to the first month and are significantly more challenging. Overall I think that the videos in the second month to are kind of similar to the first month, just with a lot less rest, more time overall and slightly more challenging exercises. The Max interval circuit gives you very little rest, and you will be begging for the video to the end. At least the first time that you do it. Max interval plyometrics is very similar with very little rest, a ton of squats and a ton of lunches overall. This is just another massive circuit training cardio blast similar to the next interval circuit. This recovery video doesn’t give you as much improvement like the first month’s recovery video did. Expect some intermittent strength exercises mixed in. They should have come up with another name besides “recovery” for this one. 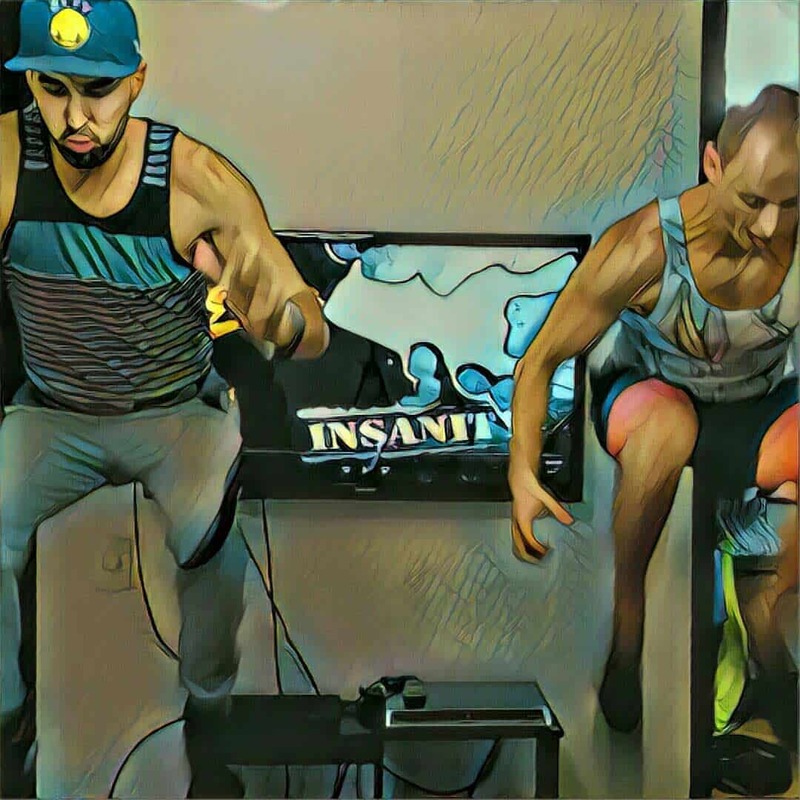 On top of the nine workouts you receive with insanity, you also receive four bonus gifts that I will be talking about in more detail down below. Cize Review. What is Cize? 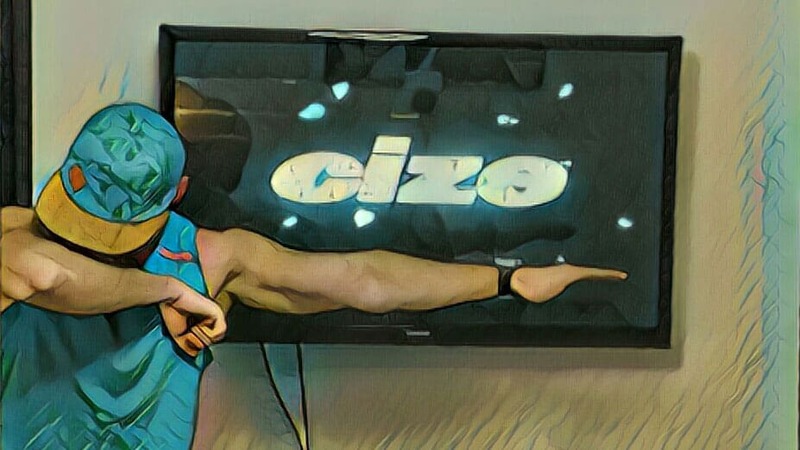 Cize is a four-week exercise program in which you will be taught professionally choreographed routines, and will be able to dance your way to a fitter and healthier body. Shaun T has brought the most contemporary choreography to the Cize program. He is also made it easy enough to follow along for a wide range of individuals with different skill sets. The cool thing about Cize is that the time goes by so much faster than time spent on a treadmill because you are having fun. The Cize program consists of six separate dance routines as well as an ab workout on a total of three DVDs. 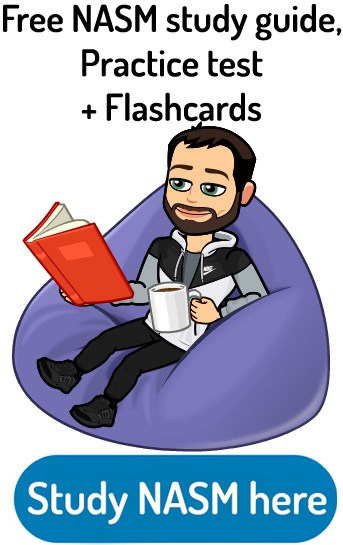 You also receive a startup guide, a meal plan guide, two calendars (one advanced in one for beginners), and a weekend survival guide. I get asked all the time if Cize works. The best answer depends on what your original goal is, and what types of exercise you like. Cize is a fantastic cardio workout. It gets your heart rate moving in the right direction. Overall this is a fantastic low impact workout program for your training clients. If you have clients that have joint problems or pain from high impact exercise, this could be perfect for them. This is especially true if they like to dance. If your client is trying to build muscle mass, this is not the program for them. I would instead check out some other beach body products such as Body beast or master hammer and chisel. If your client’s number one goal is to lose weight and body fat simply, this program can be extremely beneficial to them. If they are not able to get yourself motivated to hop on a treadmill for an hour, this might be the only type of cardio that can keep you motivated. I have a lot of clients of personal training that can’t sit on the bike or run on the treadmill due to boredom. I also think that Cize works very well for elderly individuals or people that are just getting started with exercise. They do a great job of starting off slow and gradually increasing the intensity over the course of the program. Another reason that Cize works because you can also increase the difficulty of the program by trying the intense schedule after you have already completed the beginner’s plan. Turbo Fire Review. 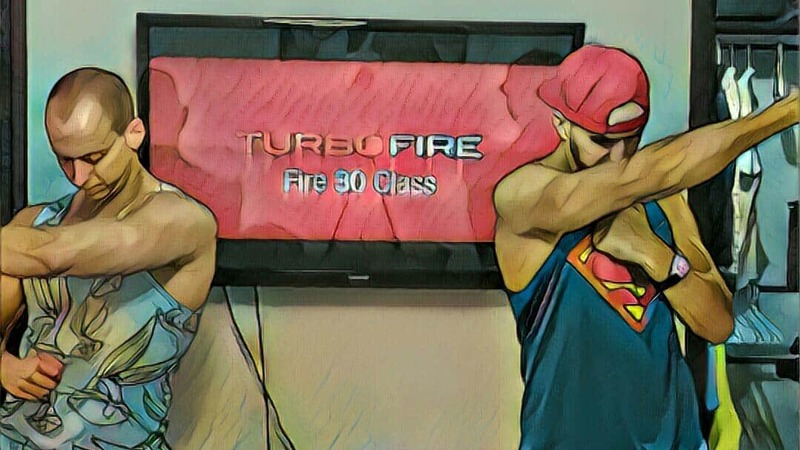 What are the concepts behind Turbo fire? The central concepts are based on high-intensity interval training, otherwise known as HIIT. Unlike some of the other at-home workout programs, HIIT is based on tons of peer-reviewed scientific articles that show the benefits of it. For my personal training clients that do not like long steady state cardio, I recommend short bouts of HIIT a few times. This is the best way to shed body fat as fast as possible. Chalene and the Turbo fire crew rename HIIT and call it “fire drills” in this workout program. The concept is simple, go as hard as you can (within any exercise) for a specific time, then rest and repeat. The reason this type of training works so well is that it shocks your body and will burn calories long after the exercise session ends. The workouts themselves combine a lot of different types of exercise including dance, kickboxing, body weight exercises, aerobic exercise and some resistance training with the bands. I get a lot of people that ask me does Turbo firework? It depends on what the goal you have coming into the program. Regarding how efficient it is that helping you lose body fat, I think it is one of the better programs out there because the majority of the program is based off high-intensity interval training. Whenever I am trying to cut down body fat and lose weight, I always incorporate HIIT into my workout schedule. It is not the best if you’re trying to build muscle mass. I recommend another program such as P90X, Body beast or master and hammer for that. But for purely losing weight, this is one of the better programs out there. If you have clients that are trying to lose weight quickly, this could be a decent solution for them. Some of the Turbo fire results that your clients can expect are to lose weight, drop body fat percentage, and tone up. 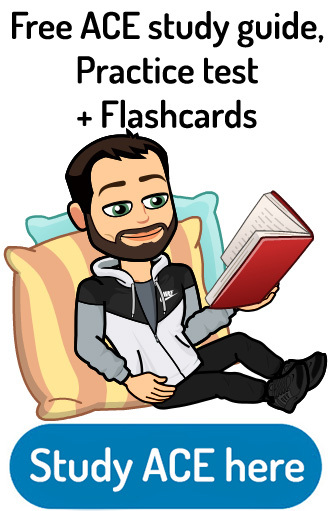 In this section, I will be comparing some of the popular programs so that you can recommend to your clients the best one for them. A lot of the programs are so similar that this important to know the slight differences between them. P90x is a massive blend of different disciplines of exercise. It combines mixed martial arts, yoga, Pilates, weightlifting, flexibility training and cardiovascular training into one great 90-day workout routine. They use what they call “muscle confusion” to keep your body guessing so that it can adapt and transform. The program was released in 2004 and has had other workout series since them such as P90x2 and P90x3. But still to this day, P90x is still very popular and overall a very effective workout program. The program consists of 12 different DVDs with 12 workouts in total. The original insanity program, on the other hand, came out in 2009. This program was created for people that wanted to be pushed to their limits during exercise. It self-proclaims to be one of the most robust workout programs ever to exist. And if you have ever tried insanity, you would know that they might be correct. The program itself lasts 60 days, contains ten workout DVDs and ten intense workouts but you will be cycling through for the two months. P90x is meant to Tone, burn fat and teach functional movements whereas Insanity is intended to burn as many calories as possible to get you shredded. The differences between both programs depend on your goals. Both of them are good at-home workout products and can be a decent option for your clients that are advanced. Just like all of the other P90x series, P90x3 is also a 90-day program. The number three in the name not only represents the third workout series of P90x, but it also stands for 30 min. Instead of the grueling hour-long workouts that were performed in the first and second installments of P90x, all of the P90x3 workouts hover around 30 min. Long. Although some people might be thinking that this should be a walk in the park compared to the first and second programs, you should think twice. Although they were only 30 min. Long, the intensity is very high, and I guarantee you will leave your clients soaking wet by the end. 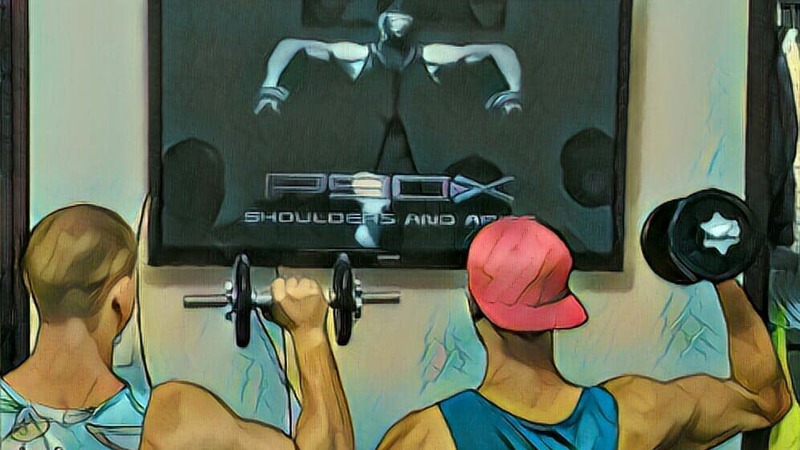 P90x vs P90x3: what are the differences? P90x is meant to tone and burn fat in a whole hour, whereas P90x3 adds stabilization to the mix and only lasts a half hour. The differences between both programs depend on your goals. Both of them are great at-home workout products. 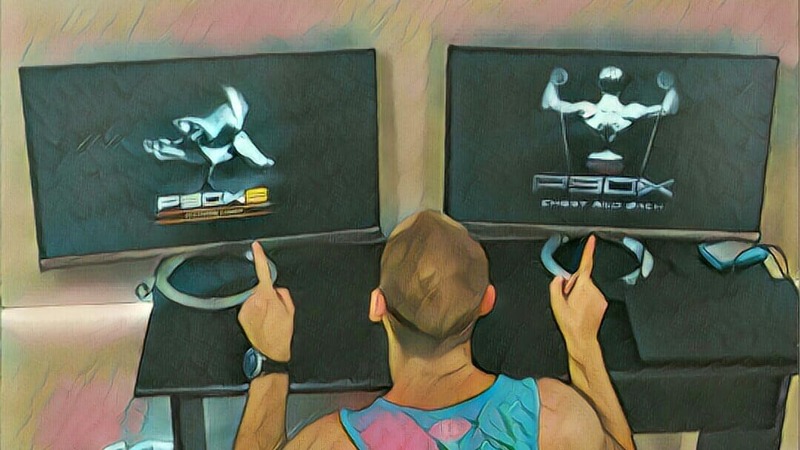 Piyo vs T25: who are they meant for? Piyo is meant for anyone that has ever wanted to get into Pilates or yoga. It is also intended for people that have not been exercising for an extended period. This is because it is much easier on your joints and muscles compared to some other workout programs (like T25, insanity or p90x). This is fantastic for personal training clients with joint pain. I am not saying that this is an easy program. It is still very difficult cardiovascular wise, and you do get a great abdominal workout as well. One other plus is that you do not need any equipment to use Piyo. This is a huge benefit, and you can do it anywhere that you have enough space and TV/computer to watch from. Overall if your clients are looking to build flexibility and core strength while minimizing joint problems, piyo seems right up their alley. Focus T25, on the other hand, is a lot more intense and focuses more on muscle building and sculpting compared to Piyo. This designed for people that don’t have too much time to work out. They can squeeze this 25 min. Workout on your lunch break if they would like if that is the only time that they have free. Even from the very beginning, T25 pushes you pretty hard, and it only gets tougher as the weeks go on. Also though some of the workouts are shorter than Piyo, I’m sure that you will be burning more calories overall even during the aftermath of the hours when you are recovering from the workout. This is called excess post-exercise oxygen consumption or EPOC/the afterburn effect. If the workouts are a little bit too intense in the beginning, there are modifiers that you can follow to make it a little bit easier. Piyo vs T25: What are the Differences? 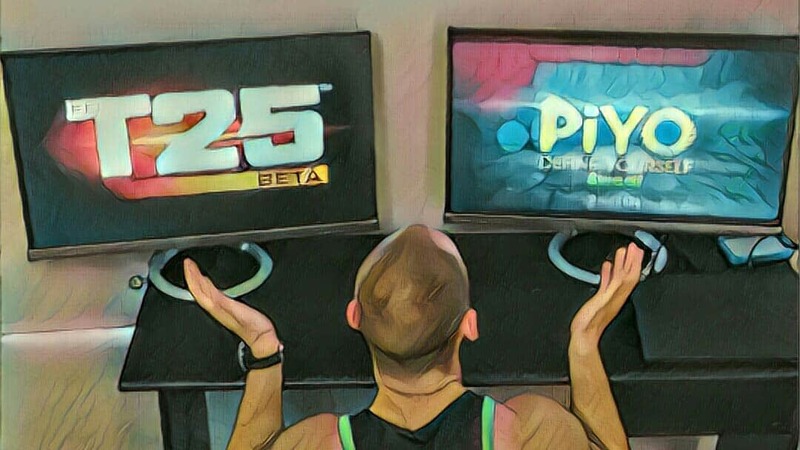 Piyo is meant to teach the basics of yoga and pilates whereas T25 is intended to be a tough workout for people that only have a half hour to work out each day. The differences between both programs depend on your goals. The classic routine will have you doing three days of weight training with either free weights or resistance bands. I recommend using free weights personally. You will also be doing three days of yoga and cardio training. All of the beach body programs come with a workout calendar to follow. You can recommend which program or calendar to follow for your personal training clients so that they can see the best results. For example here is what the P90x workout calendar looks like. Overall I recommend starting out with the classic routine if your client is starting out with working out. It is the best fit for the most significant amount of people. Lean is for people that love cardio and want to add even more of it compared to the classic routine. The doubles are the same as the classic for the most part except that after one month it starts adding 30 mins of cardio as a separate workout. So you will have one workout in the morning and one at night. Should you recommend these workout programs to clients? The preferred type of personal training for your clients is to be there with them for every session. Is also preferred to have all of the necessary equipment at your fingertips to have the best training sessions possible. Sometimes these are not available. Other times, your client would like to do workout sessions on their own, in the comfort of their own home. This is where I recommend having them try and at-home workout program such as one of the beach body programs that I mentioned above. Being a great personal trainer means being able to work around unusual circumstances. Having your clients workout at home is better than having them fall into bad habits and not work out at all. Let me know what you guys think of these workout programs. 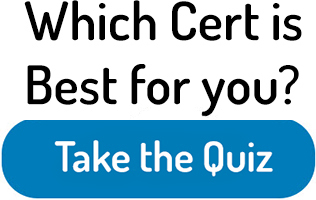 Do you recommend them to your clients? If you’re interested in becoming a personal trainer, I recommend checking out my article to see how long it takes.